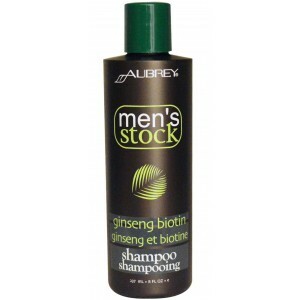 Men's Stock Ginseng Biotin Shampoo 235ml. INGREDIENTS INCI: Aqua, decyl glucoside, sodium cocoyl hydrolyzed soy protein**, oryza sativa (rice) starch*, glycerin, glucose, xanthan gum, hydrolyzed sweet almond protein, citric acid, citrus grandis (grapefruit) seed extract, simmondsia chinensis (jojoba) seed oil*, rosmarinus officinalis (rosemary) leaf oil*, mentha piperita (peppermint) oil*, lactoperoxidase, glucose oxidase, panthenol, tocopheryl acetate, panax ginseng root extract, inositol, hamamelis virginiana (witch hazel) water, alcohol denat. 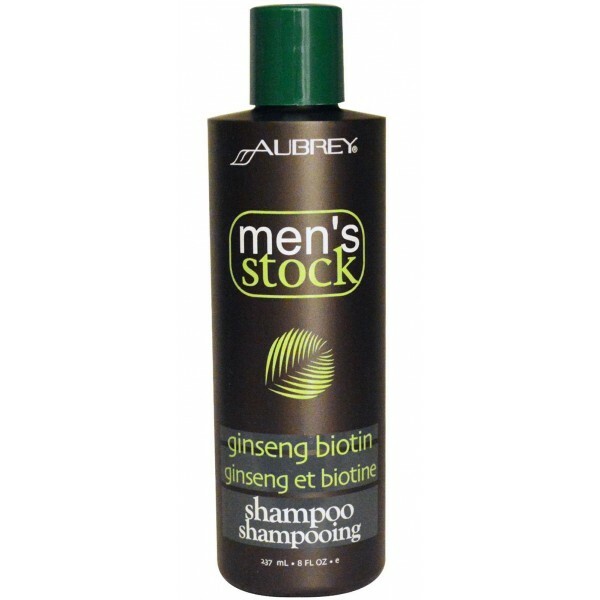 (38b, lavender*), urtica dioica (nettle) extract, tussilago farfara (coltsfoot) leaf extract, equisetum hyemale (horsetail) extract, ascorbic acid, polygonum multiflorum (he shou wu) root extract, biotin, glycine soja (soybean) oil, daucus carota sativa (carrot) root extract, beta-carotene.